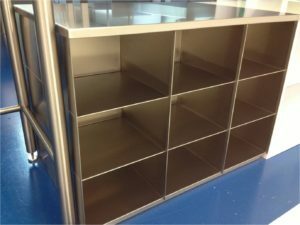 NGS Cleanroom solutions is pleased to offer a wide range of top quality, custom made cleanroom furniture and accessories designed and manufactured to meet our customers unique fit-out requirements for their cleanroom. These products are manufactured either by our parent company NGS Products who offer a wide range of bespoke industrial furniture solutions. Our in-house manufacturing capability provides a distinct advantage when compared to other cleanroom vendors as we can offer a complete customised service to our clients. We are able to supply a range cleanroom furniture suitable for all types of cleanrooms from modular cleanrooms to soft-wall cleanrooms. The cleanroom furniture is designed for improved working environment ergonomics, efficient material flow and reduced contamination. The table below can be searched or browsed to view our range of cleanroom furniture and fit-out. 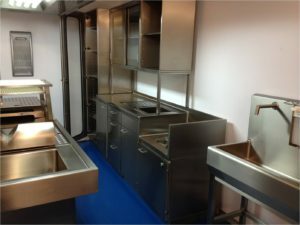 We also offer tailored cleanroom solutions to our clients to ensure the best possible working environment according to the requirements of the clean room. Used gowns and textiles can be disposed of into a lockable unit through a letter-box style unit which ensures used garments are disposed of properly. These units can be incorporated into stainless steel lockers or composite built furniture. 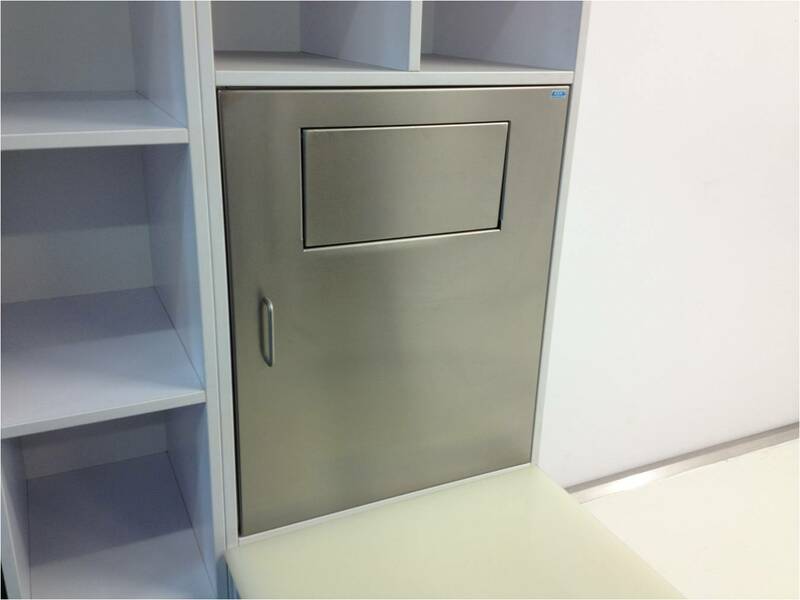 Stainless steel general workshop or cleanroom lockers with integrated storage, lockable drawers or perforated tops. 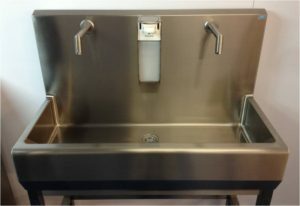 These units can be mobile of fixed and can be manufactured to any size and finish quality depending on the application. 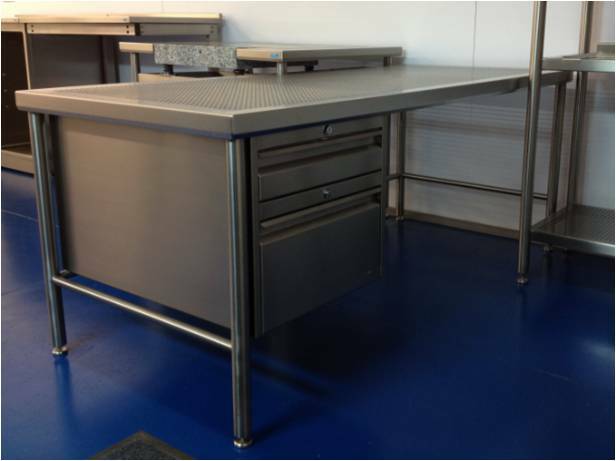 High Quality stainless steel workstations and desks for use in controlled environments and cleanrooms. Fully customisable in size and configuration and can include drawer units, cupboards of PC drawers. Manufactured using either square or round tube sections with adjustable feet and can include lockable storage. 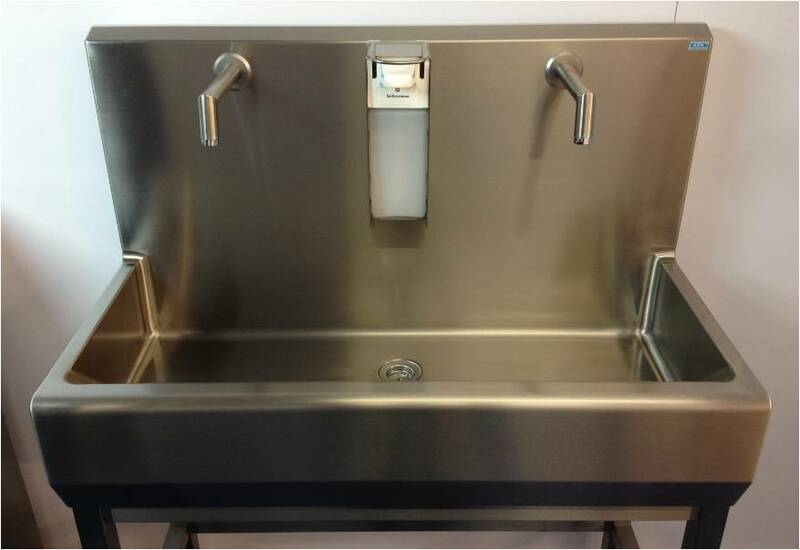 Free standing Stainless Steel sink unit with integrated taps and soap dispenser complete with knee operated water on/off suitable for cleanroom, laboratory or medical facility. Custom built to any size or specification with a choice of 3 surface finishes. 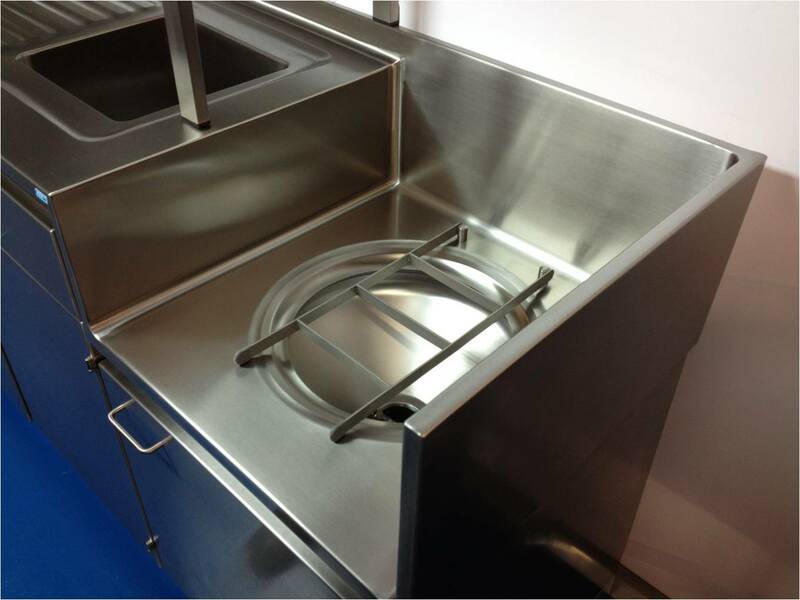 Free standing or integrated Stainless Steel service or janitorial drain unit for use in cleanroom, laboratory or medical facility. Custom built to any size or specification with a choice of 3 surface finishes. Customised workbenches or laboratory tables with integrated electrically operated height adjustment. These table can be manufactured to any size and specification and can be customised to suit the application. The unit has a front mounted control panel with buttons to raise and lower the work surface and individual memory functions. 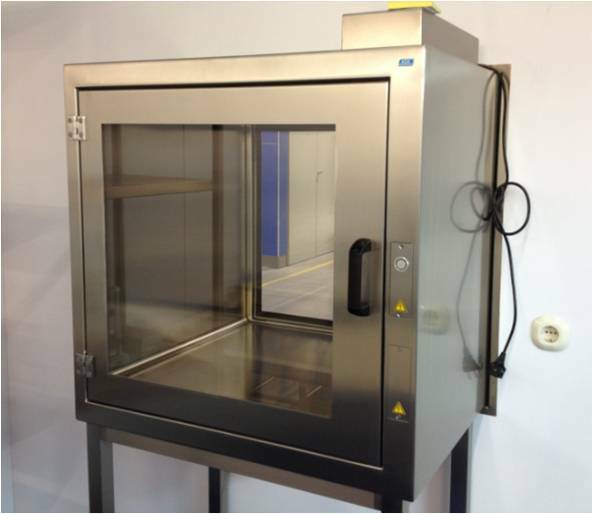 Customised material transfer systems for cleanrooms and controlled environments. These units include electro-mechanical interlock system, fully sealed doors and tempered safety glass. We can integrate internal shelves, transfer racks or product baskets. Custom built gowning room shoe or clothes rack, fully customisable to suit individual options and sizes and can be incorporated into step over bench or under locker unit. Very high quality finish with safety hemmed edges and a solid top. Complete laboratory furniture fit out services available including storage units, sink units and workstations. 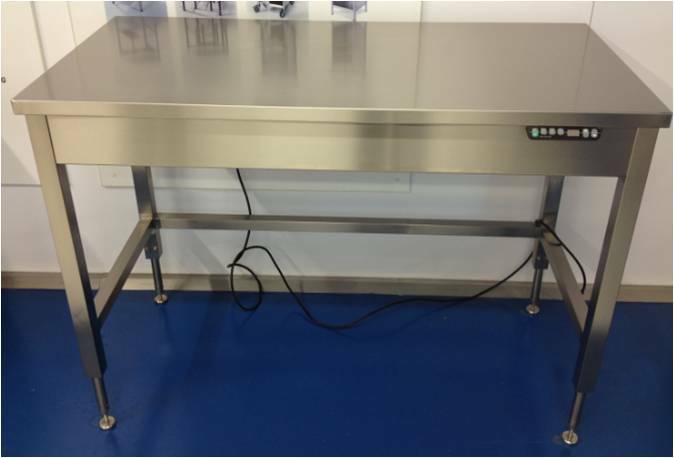 Cleanroom gown and coat hanger units, manufactured to customers specification and can include fixed or removable hangers and can be incorporated into gowning area furniture or supplied as a standalone unit.